Pest description and crop damage Overwinters in egg stage. 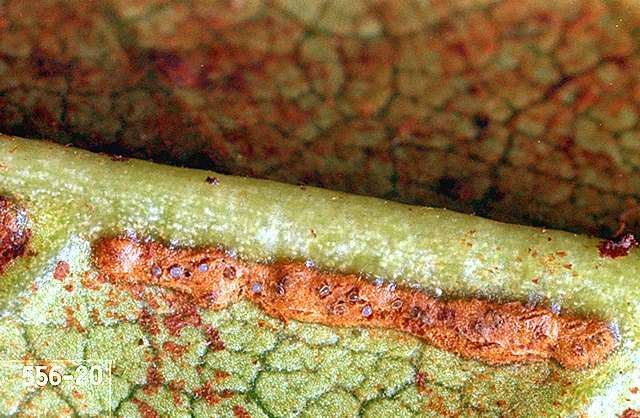 Eggs are laid in the midrib on the underside of leaves. Eggs hatch in late May or early June, although they have been noted as early as mid-April. Probably one generation a year in Oregon. 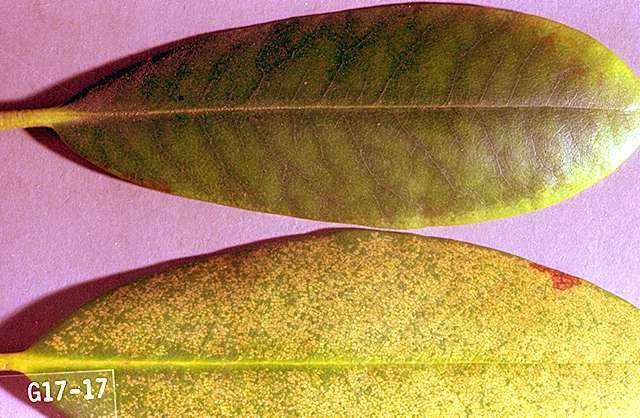 Leaves are yellow and stippled. Undersides of leaves are dirty. Use as label directs. 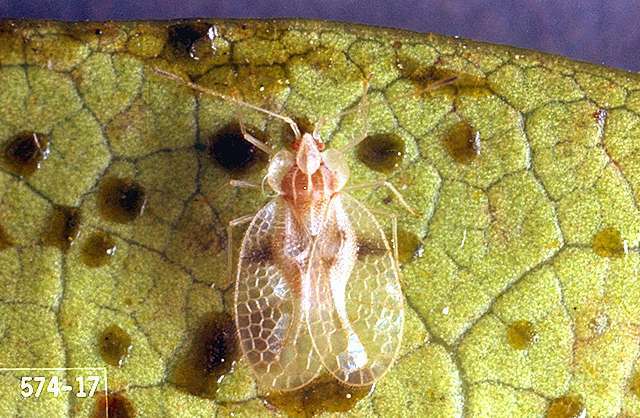 Apply in late spring when young nymphs appear. Difficult to control with one application. Johnson, W.T. and H.H. 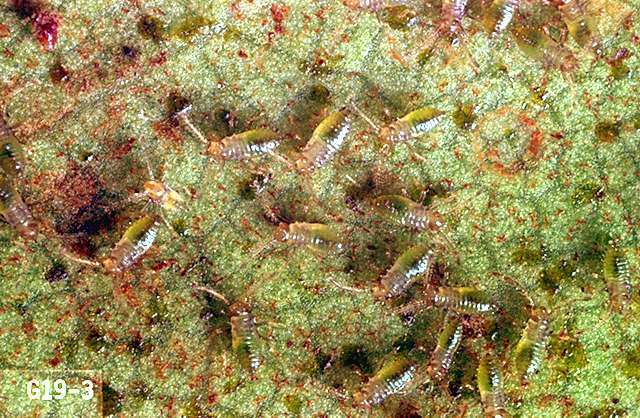 Lyon (1991), Insects That Feed on Trees and Shrubs, 2nd ed., Cornell University Press (p. 424).